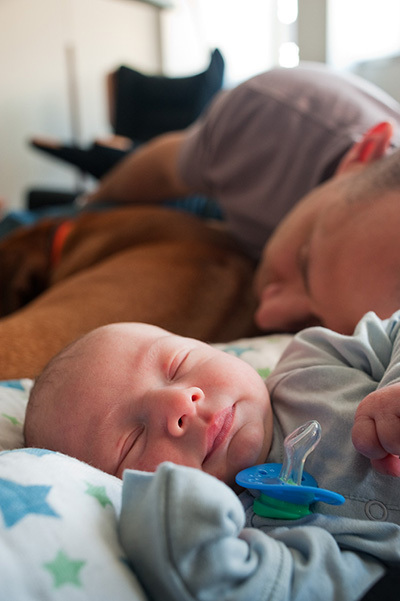 Enjoying some quiet time with Max. Be back soon. In the meantime, wanted to share part 3 of the design*sponge "In the Kitchen With" features. The piece came out the day Max was born. Thanks again Grace for having me! 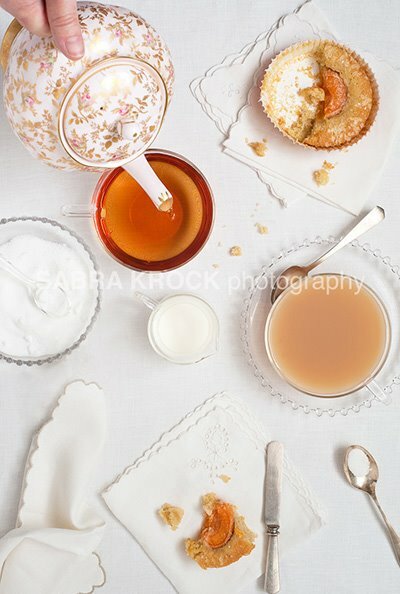 You can see the photos and a great recipe for an apricot tea cake on design*sponge here. I'll also post the recipe below. 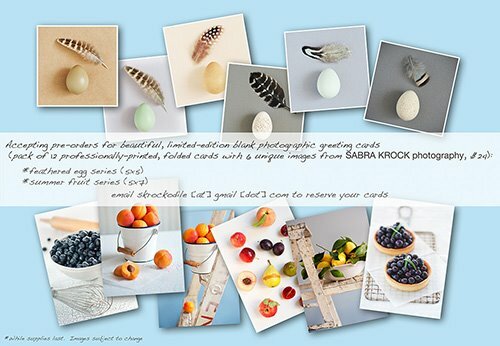 In addition, wanted to let you know that I am selling two sets of limited edition greeting cards. Both contain 12 folded cards (2 copies of six different images). The first set is a pairing of eggs and feathers from the bird that laid them (5x5). 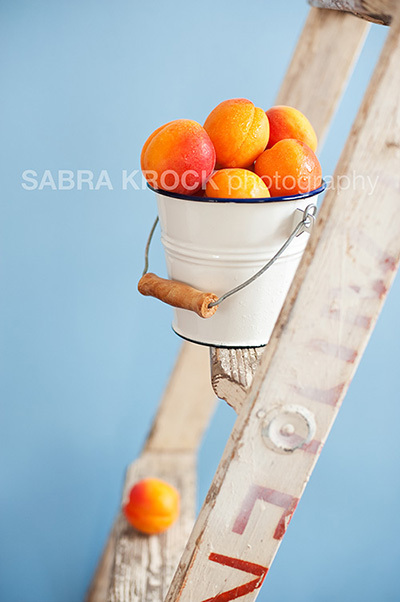 The second is a set of summer fruit images (5x7). Each set sells for $24. I am accepting pre-orders for the next two weeks. Please contact me if you are interested! See here for a larger view. Note: My recipe calls for baking the cakes in disposable tartlet cups (approximately 4 inches in diameter and ¾ inch high). The cups are just the right size to ensure that the pretty fruit pokes out of the top at the end. Using an electric mixer fitted with the paddle attachment, cream butter and sugars at medium/medium-high speed until light and fluffy and sugar is dissolved. Beat in eggs, one at a time. Add lemon zest and vanilla and beat until incorporated. Reduce mixer speed to low and add in flours and baking soda until just combined, taking care not to over-mix. Add buttermilk. Stir a few times with a rubber spatula, scraping the sides and bottom of the bowl, to ensure all ingredients are well combined. Place six tartlet cups on a baking sheet and fill half way with batter. Press an apricot half, cut side up, into the center of the cup. Sprinkle batter and fruit with sanding sugar. Bake for 25 minutes or until tops are golden brown and batter is just set (springs back to the touch). Enjoy with tea!